It was grey and hazy when Dan and I woke up and looked out the window to see that we had left the ocean and we were moving slowly up the river into Shanghai. Each time we dock, a local pilot jumps onto our boat and helps steer us into the last little bit of sea before the dock – usually about an hour before we stop. For Shanghai, the river is so busy and narrow, the pilot actually joined us at 1;00, and steered us up river until 8:00 am. 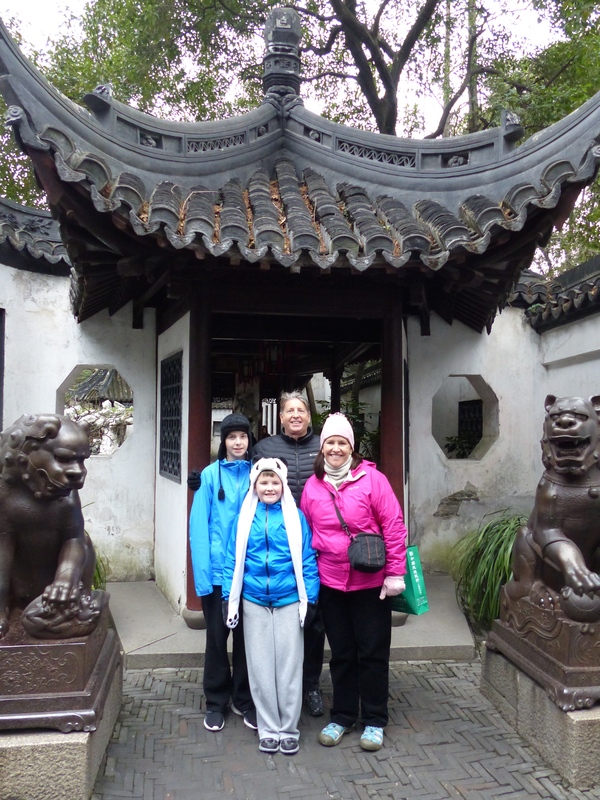 We spend the day wandering Shanghai, along the Bund (a long walkway along the river) and into Yu Gardens, an ancient area of gardens, temples, and other gorgeous buildings. Got back to the ship for a night’s sleep here in port, and tomorrow we fly to Beijing for our Beijing and Great Wall adventure. We will rejoin the ship in Hong Kong at midnight on Saturday!